An ajumma is the unique word and, at the same time, it represents the group of middle-aged women and their culture. As Beauvoir, Butler, and Haraway note (1989:12, 1999 and 1991) gender is constructed culturally, ajumma should be understood and discussed within Korean culture that this ‘ajumma’ group was involved and created in. With this idea, I would like to say that, “an ajumma is not born, but rather women in Korea becomes an ajumma”. Thus, knowing who an ajumma is, what an ajumma do and how an ajumma is represented in Korea will be triggered to understand women in Korea and more than that. They are represented in Korea with various a biased point of view, however they’re now representing themselves with the usage of social media and creating their own way of social media culture. 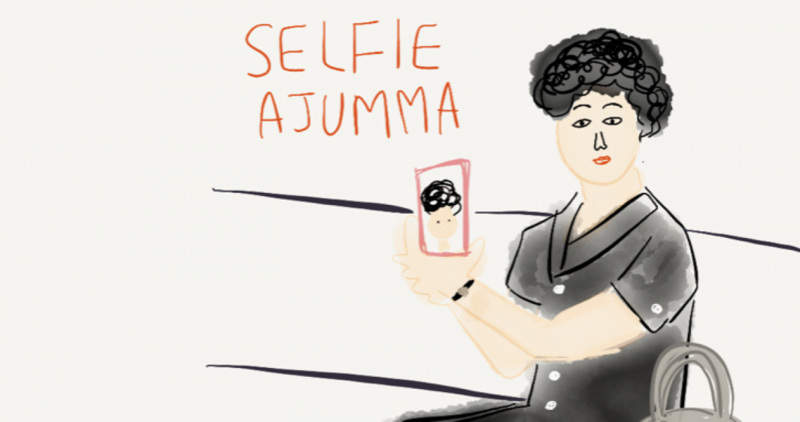 People regarded ajummas as just an ajumma without knowing well about them. When we look at them carefully and know more about them, we can find how each ajumma is a person of distinct individuality.